Ever since I can remember, I’ve been drawn to soft colors. 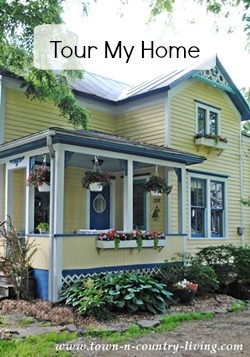 Most of my home is decorated in soft, serene hues, with the occasional jolt of vivid color. I think we all have our color preference, whether we love the warm sunny colors of Tuscany, or are more drawn to the cool tones of the sea. I pulled together a few ideas for decorating with soft colors and hope these photos inspire you. Ah, beautiful Laura Ashley! One of my favorite designers. When I was in junior high I frequently chose Laura Ashley sewing patterns for their soft, English appeal. Even though I was a tomboy, I enjoyed a few girly things. Soft blue and green are crisp and clean in a whitewashed living room. Bedrooms are the perfect spot for decorating with soft colors because they create a peaceful palette. Soft green makes an appearance in a farmhouse style kitchen in the form of diamonds on the floor and subway tile on the back splash. Also, did you notice the green glass knobs on the cabinet beneath the farmhouse sink? Light blue built-ins match the hue of the couch, allowing the eye to easily flow from one end of the room to the other. An oriental rug underfoot adds a touch of richer color and helps to ground the room. 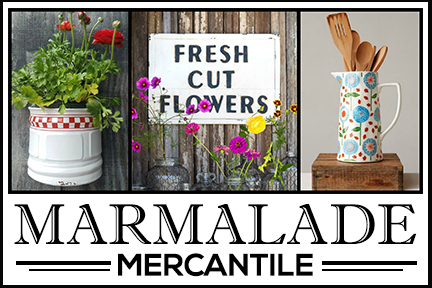 Do you watch “Fixer Upper” with Chip and Joanna Gaines? 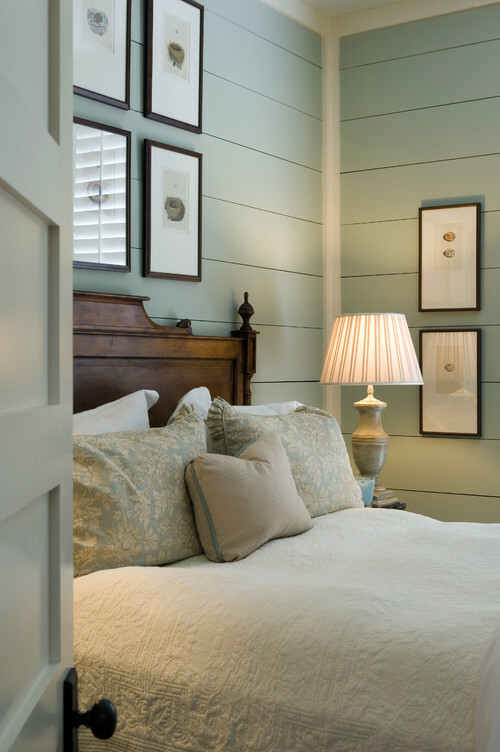 If you do, you’ll know that Joanna is a big fan of using shiplap like you see on the walls of this dreamy bedroom. Painted a pale hue, the bedroom beckons you toward a restful night. I think we typically relegate decorating with soft colors to cottage style rooms. But in this photo, soft blues and peach enhance the mid-century modern look of this stylish dining room. 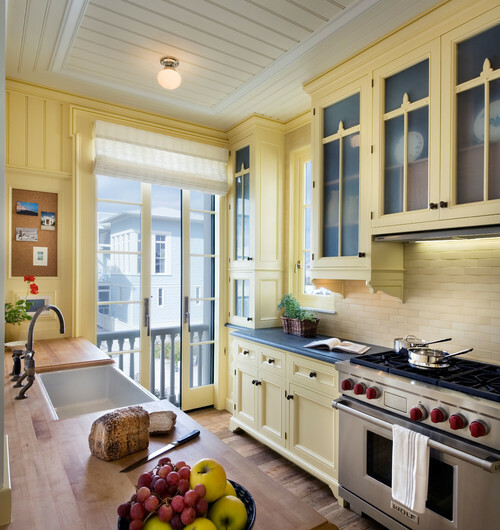 Pale yellow is almost always a perfect choice for a kitchen. This one wears a bit of sophistication with its dark counter tops and creative use of bead board on the ceiling. 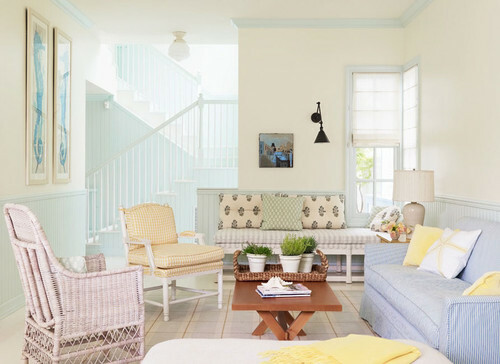 A beautiful pastel living room is reminiscent of a vacation beach cottage. Simple furniture and white walls keep the room looking cool and beautiful. Perfect for summer! 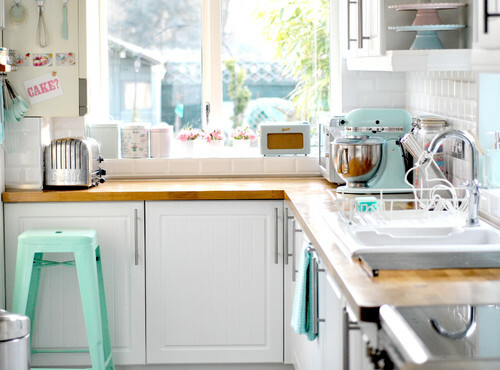 Splashes of aqua populate a cute, cottage kitchen. 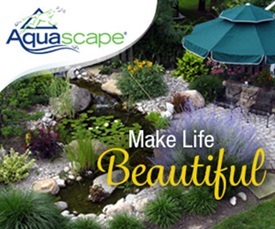 When you tire of the aqua, simply swap it out for another color! Living Room by Minneapolis Furniture & Accessories Unique By Design Ltd. This gorgeous living room proves that decorating with soft colors can be sophisticated and grown up. Floral prints and an elegant chandelier add feminine appeal. 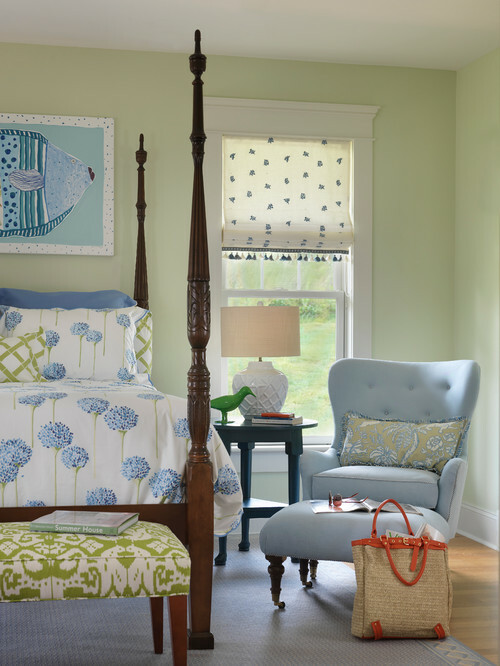 Soft colors don’t have to look young and girly when used in a child’s bedroom. 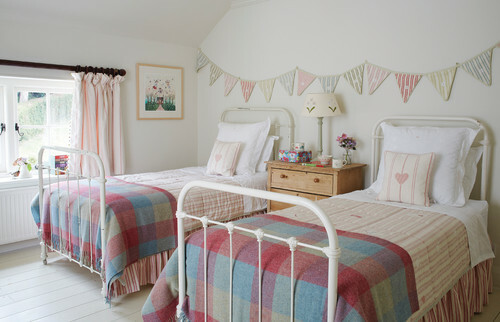 The plaid blankets keep the room from looking too sweet and frilly – perfect for a young girl who’s growing up. 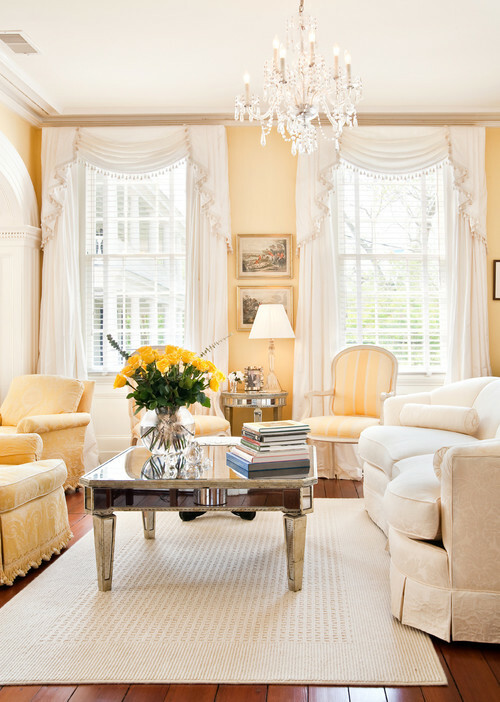 And finally, one more sunny yellow room that proves decorating with soft colors can be both sophisticated and feminine at the same time. Gorgeous wood floors and a pretty chandelier add drama to the room. Do you like to add soft colors when decorating your home? You probably know that soft colors are my favorite too. These rooms are beautiful and inspiring. It’s hard for me to imagine you as a tomboy, Jennifer. My 13 year old is quite the tomboy so you give me hope : ) ! I’m also a fan of soft cool colors – no reds, yellows and brights for me. My home needs to be relaxing and calm, even though I no longer come home from a chaotic job and need the calm. The lack of a jolt of color pleases my eye and my soul. Thanks for showing these beautiful rooms to this former tomboy. I love all of these ! I am slowly transitioning to softer colors in my home. Although I like red, and in the fall I appreciate the warm colors of the season, I find the softer colors so much more relaxing and beautiful. I love soft colors as well. Pastel colors appeal to me the most. These are perfect room colors. I love red and use it as my fall and winter accent color. I keep my basics neutral with tan, cream and brown so in spring and summer I use soft yellows to accent…it’s amazing how different the rooms look with the change of color! I like soft colors but I want some gray in most of them. I have trouble finding the right color. What looks good on a 12×12 spot on the wall does not always come out so great when applied to the whole wall! you always compile such beautiful photos. i enjoy seeing what you come up with. Yes, I have always loved pastels. I don’t think you get tired of them as quickly. I guess I should change mine to Susan W. ???? Lovely colors and designs! Loved them. I’ve had to decorate around 3 kids, 3 dogs and a husband so I felt the need to keep things dark (leather sofa). Didn’t want things to look dingy from the filth…but now as the kids are grown and out of the coop, I enjoy the ability of bringing in more brighter softer colors. It’s hard balancing the soft colors without looking to feminine though. Really pretty pictures. I like to look at these softly decorated rooms, I like the beach theme, but I could NEVER actually use them! I am a red girl! Red makes me feel good. I use my beachy accessories in summer with red, white, and blue. This is a splendid collection of beautiful rooms done with soft colors. I think my favorite is the first picture with the matching easy chairs and drapes/shades. I love that floral pattern. Everything about the room is cool and relaxing. 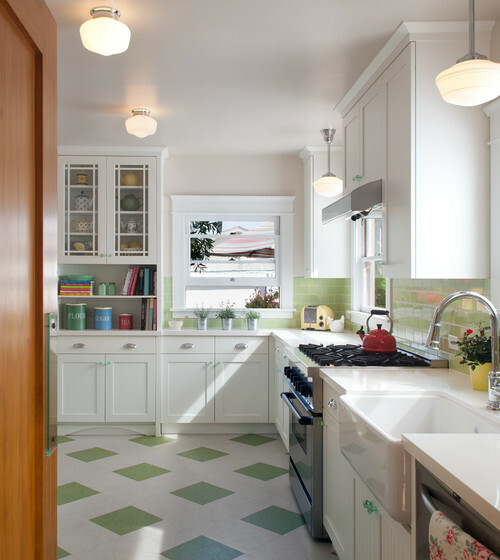 I also love the kitchen with the green subway tiles. That color is yummy! All though I really like all the fall colors for my home anything blue and white for spring summer I think is absolutely perfect. Their soft and relaxing . Beautiful rooms one is prettier than the other and I don’t green very much but the colors are so well put together here I like all of them…. I love adding soft colors to my contemporary dark chocolate brown furniture. Pale blues, a wedgewood blue and white, gold, for bedroom. Living room different colors of turquoise and dark pinks and silver. Kitchen has dark furniture also but with splashs of celery, bright blue and red wine colors make it vibrant. Love the farm house kitchen and soft yellows for a kitchen- makes me want to paint my upper kitchen cabinets- now what color is that yellow? Beautiful spaces. Thanks for sharing! Really beautiful photos. I’m a cool color person, definitely, although I can also take those cool colors into the darker hues. 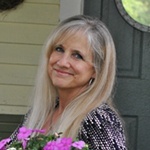 I love blue from light to navy – I love green, but only the darker forest hues, no light or chartruse – reds for me must be dark and jewel tone or it’s too bright, and while I love dusty purple colors, no lilac for me. Another color you will never find in my home is yellow or gold. It just isn’t pleasing to my eye. It’s funny how different people see colors differently and what reaction certain colors cause. I need cool and calm but my daughter is a warm color person with golds, greens, turquoise and terra cotta colors.throughout. So happy we aren’t all the same …..
Newport Interior Designers / Decorators Digs Design Company.